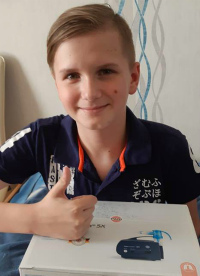 Vladislav was born in 2002. This boy with big sad green eyes instaneous attracts attention. 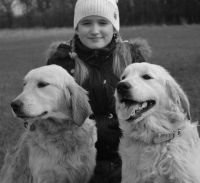 Vladislav is very touching, open-minded and hardworking. 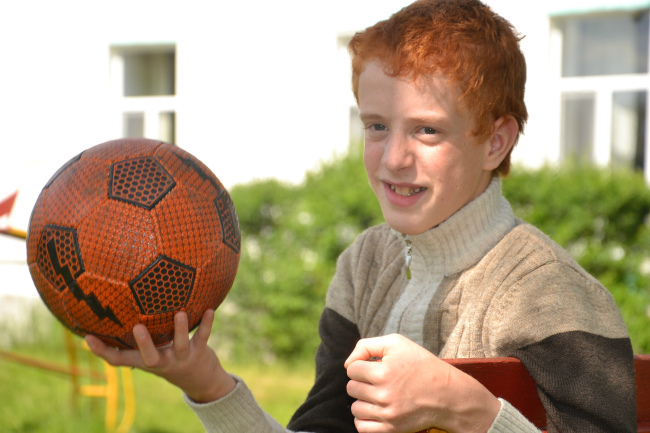 He likes to play football and computer games, actually as many other children. 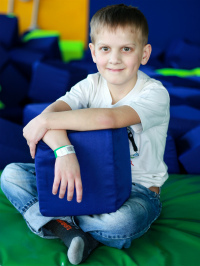 His most favourite game is “war and peace game”, so the boy dreams to get a toy machine gun and a remote-control car. When we asked him about his future job, the boy smiled. He has been dreaming about becoming a tractor driver. Vladislav draws well on the sand. This tall and thin boy played ball with journalists with great relish and was playing on a swing. Furthermore, the guy sat at a laptop, completing logical tasks. He is dreaming of a family and home where should be a computer and TV. The boy told us that he loves helping in the work around the house: to sort books, to dust shelves, to throw out the garbage. Vladislav likes pizza, hot sandwiches, potatoes and chips. He likes chips because he hardly ever eats them. 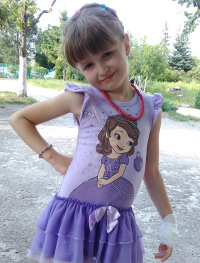 We hope Vladislav finds loving parents who could bring to life dreams of this nice and tremulous child. 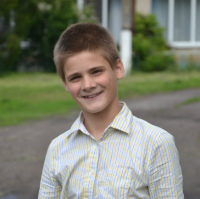 If you are interested in adopting Ivan, please read the memo to the potential adoptive parents, guardians, and foster parents; you can also contact Children’s Affairs' service of the Zaporozhia State Administration by telephone (061) 239-01-56 and make sure to provide them with Vladislav’s file number 0155850.